Closer is a cooperative game for two people: to start you must stand close together, and to succeed you must work together. 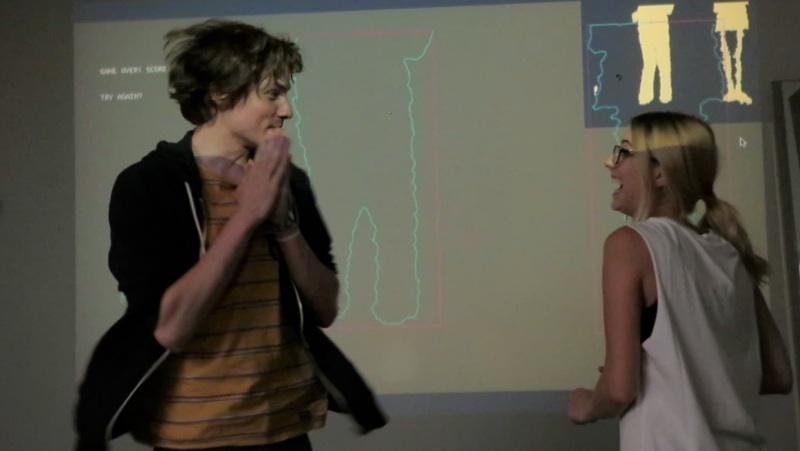 Closer uses a Kinect to track the movement of the players’ bodies, and draws a single shared playable character exactly at the space between the players, growing and shrinking with their proximity and moving as they move. The players must navigate difficulties, win points, and avoid death together, as each player has exactly equal control in the outcome of the game.